Just like we celebrate our Birthdays, I firmly believe the City we call home also deserves one. Today is my home town, birth place Madras/Chennai’s 372nd Birthday. The month of August begins and the excitement mounts. 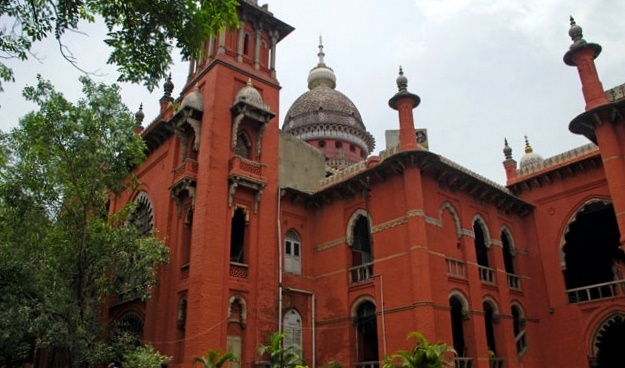 I look forward to the line-up of events dedicated to Madras Day. 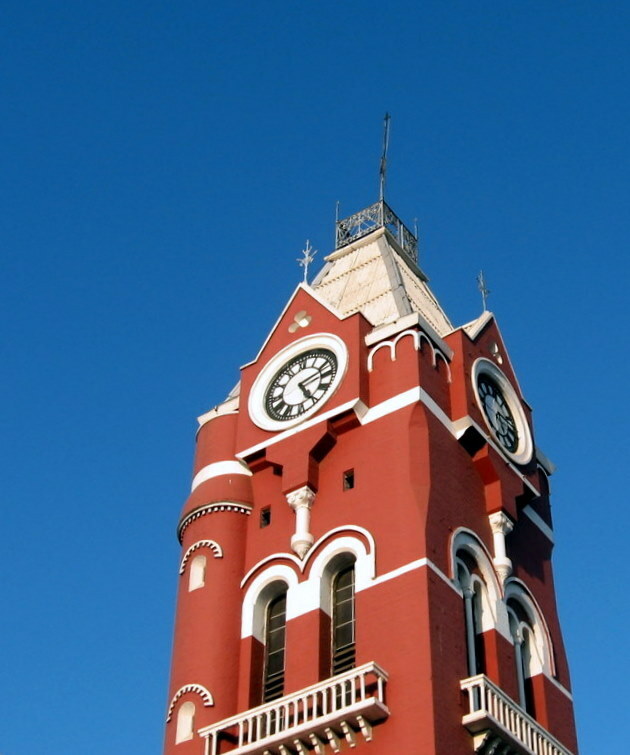 Infact, it was only few years ago that I discovered Chennai was born on 22nd August, 1639. There are Photowalks to explore various hidden treasures in the lanes scatted around the city; and there are talks where we get to learn about the rich history, culture and art embed within. The events are quite a treat for those who have been living here and others who are keen on learning more about this city. 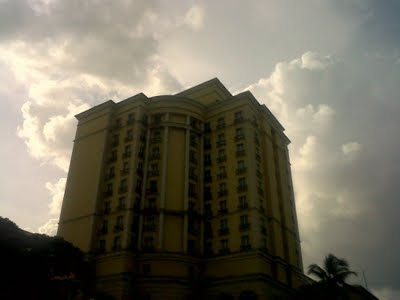 A chance for us to enjoy the architecture from the years gone by, visit monuments, buildings, parks and galleries filled with information and pictures related to Chennai and of course to create our own memories.. Earlier, Chennai was where I spent my school holidays in, among family and friends, But now, it is my Home, where i know I belong! 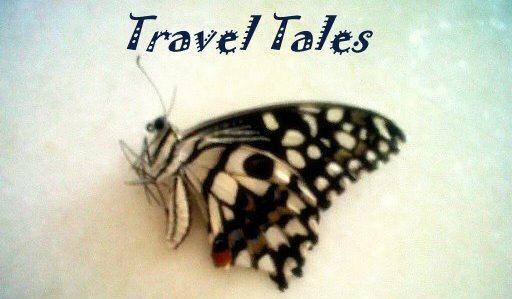 Even though I’ve been living here for over a decade, there are so many places I’ve not visited, explored or even heard of. Hmm, about time I rectified this, what say?! 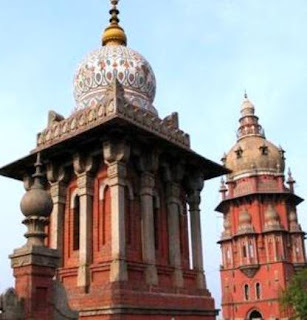 I have been eyeing the Madras Day agenda almost daily, wondering what all I can be a part of and there are a few that have caught my attention, which have been jotted down in my Calendar. I am definitely looking forward to the TALK: Lesser known temples of Chennai by Chitra Madhavan on 23rd August evening [Tuesday] and the HERITAGE WALK : Meandering down Mint Street on 28th August morning [Sunday] amongst the lot. Oh gosh, how can I forget to mention the NATURE WALK inside the IIT Madras Campus on 27th August morning [Saturday]?! The people we meet, rather, the people we bump into sometimes has me in awe... Wondering WTH! Am good, so did you find the place? She : "Oh yes, we said a million thanks to you for guiding us... We are from Bangalore, driving back.. and you?" 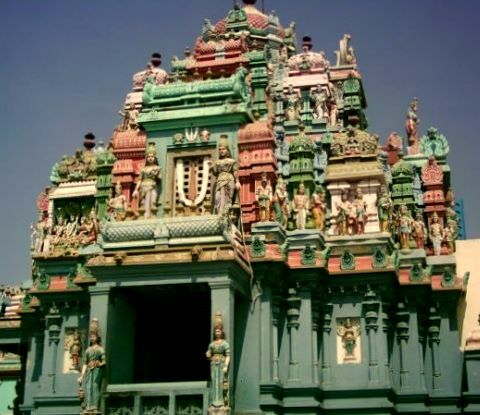 The memorial, dedicated to famous the poet &amp; saint Thiruvalluvar has been built in the shape of a temple chariot. Infact, legend has it that it is indeed a replica of the temple chariot in Thiruvarur. Apparently, there is a life size statue of the poet within the chariot. The 133 chapters of his most famous work, the Thirukkural has been depicted all along the corridors of the chariot. 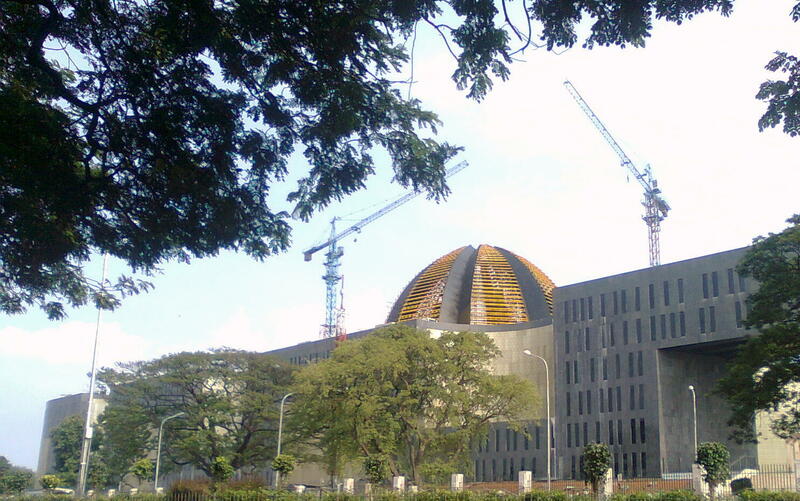 There is an auditorium within the complex that is known to be the largest in Asia and today is used for exhibitions and conferences. Another unique feature of this auditorium is that it is a stand alone structure, with no beams or pillars for support. 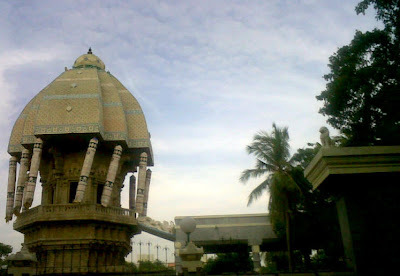 Thirukkural, consisting of 1330 couplets has been inscribed on the granite pillars surrounding the auditorium. So, they are inviting ideas from people on what to do with this structure!! The MGR Memorial is a yet another memorial we find in the Marina Beach, Chennai. 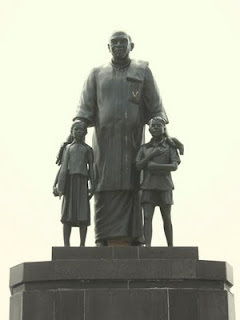 Today, it has become quiite the favorite among tourists..... M G Ramachandran [MGR] was a former actor & a politician from Tamil Nadu, MGR . Yet another famous landmark in Chennai,my home is The Napier Bridge. It is also known as the "Iron Bridge" . This bridge was constructed in honor of Lord Napier who was the Governor of Fort St. George , Madras Presidency. It was built in 1869 across the Coovum river by Governor Napier who held this office from 1866 to 1877. When she was here, one morning we all rose early[5am] and drove down to the beach, not just any beach, but The Marina Beach... Spent about 2hours walking along the shore, while some played in the water a bit before joining us... What a fun morning that was! It was built by the East Coast Constructions and Industries in 1976 replacing the old lighthouse in the northern direction. The lighthouse was opened in January 1977. 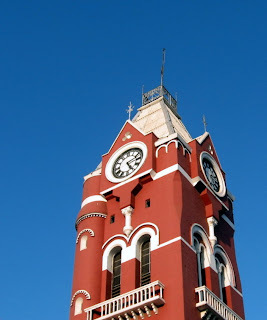 The present lighthouse is the fourth lighthouse of Chennai. The first lighthouse started functioning in 1796 when the terrace of the Officers Mess (the present day's Fort Museum at Fort St. George) was chosen as the site for the first warning beacon which used a large lantern. It functioned till 1841. The second light house was erected during 1838-1844 on the north side of Fort St George and it was functioning until 1894. The third lighthouse was functioning from the tallest dome of the Madras High Court. It started functioning on June 1, 1894, with argand lamps and reflectors manufactured by Chance Bros, Birmingham which had originally been installed in the 160-ft-tall lighthouse tower. 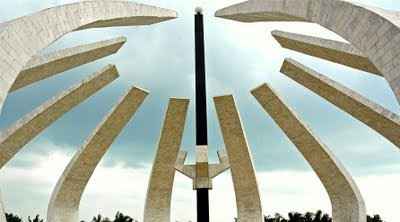 This was later decommissioned after the present one was constructed on the Marina beach near Santhome which was unveiled in January 1977. The Madras High Court is yet another landmark building in the city... Yet another brick coloured building, it is not only majestic but buzzing with activity all the time! I have only seen the top tombs and pointed structures in movies, and so it was a revelation to visit the building and see it in person..
Another beautiful Church that i am yet to pause and enjoy is the Wesley Church in Egmore. 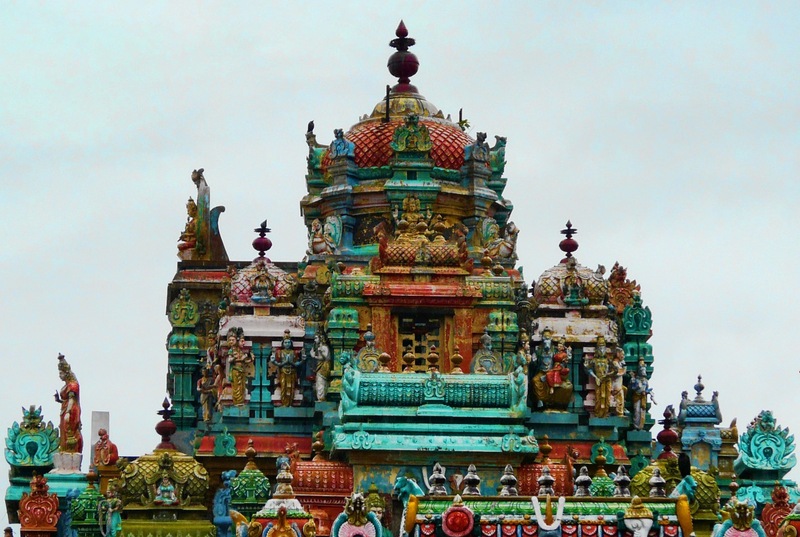 Built by the Methodists in 1905, it is part of the Church of South India, Madras Diocese. The brick exterior is something that i love, which is probably why i take pictures of the church everytime i pass by. 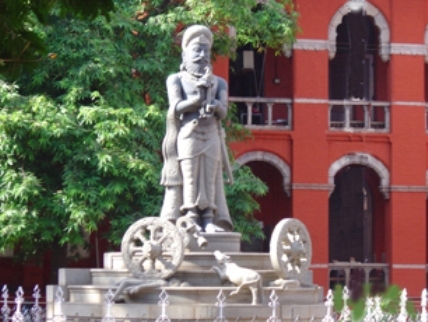 August has become a month of great significance, it is when Madras celebrates The Madras day, its birth along with various other festivities. I was born here, born when the city was called Madras and have watched it transform over the years, heck, the city is today called Chennai.. 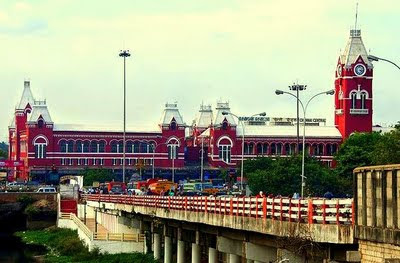 This is a photograph of the infamous Chennai central Railway Station. If you have seen tamil movies, or any other movie where any of the actors make a trip to this town, this is the first building shown on the screen. Looming larger than life, the central station with its brick red exterior and colonial influences is quite a mesmerising site.